Recommendations: Take 4 tablets per day with food. Divide doses if desired, or use as directed by your health care provider. Without magnesium, there is no life. It's the only magnesium supplement in the world that combines Albion's premier dimagnesium malate into a time released formula. 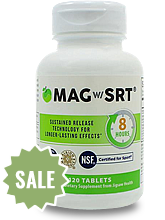 Clinically proven to be more bioavailable than any other form of magnesium for super-absorption. Bound to malic acid, part of the energy-producing cycle, which breaks off to help the body create energy and to help eliminate aluminum from the body. No diarrhea side effect like most other magnesium supplements. Awarded the Albion Gold Medallion. Other Ingredients: Microcrystalline Cellulose, modified cellulose, guar gum, stearic acid, xanthan gum, vegetable stearate, silica. Magnesium found in legumes, whole grains, green vegetables, nuts and seeds may not be fully absorbed by your body due to chronic recurrent health conditions, the use of prescription drugs, or an overabundance of calcium. A magnesium deficiency may also result from a poor diet. 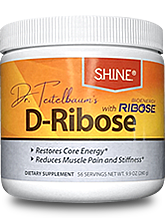 Suggested Use: As a dietary supplement, take 4 tablets per day with food. Divide doses if desired, or use as directed by your health care provider.